21st Century has only brought Problems for Pakistan. Wars, Extremism, Inflation, Natural Disasters, Corrupt Rulers Pakistan has seen all this. Specially the present Government of Peoples Party has completely destroyed the Pakistan from every perspective. Pakistan's Economy is in its worst condition of history. Inflation is massive. Foreign debts are doubled in 4 years. Almost every Minister is found involved in Corruption. Crimes are going up. Youth is not getting Employment. all this is really worrying for people of Pakistan specially for Youth of Pakistan aging 16 to 25. 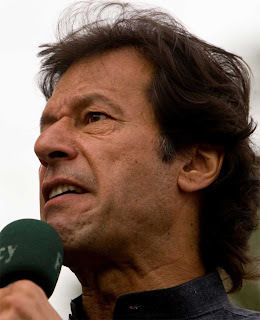 This Youth of Pakistan now wants to see a complete change. 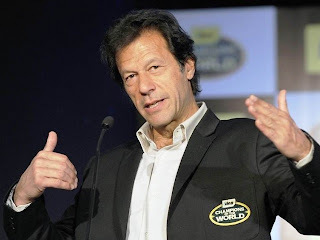 they want to see Pakistan in a position like it was before 2001 and the person whom Youngsters are seeing for this change is Imran Khan Chairman of Pakistan Tehreek Insaf and a former Cricketer. From whichever Youngster you ask he says i will vote for Imran Khan in the coming elections. This is why experts are saying that there are huge chances of PTI win in the coming elections. But to win Imran Khan will have to take correct political discussion. He will have to avoid mistakes like he made one recently by boycotting the By-election. It will also be important to see that whether Elections takes place free and fair on new voters list? Only few months are left in the elections. Lets see whether Imran Khan will be able to bring change or we will have to see same old faces in Parliaments of PPP and N League?